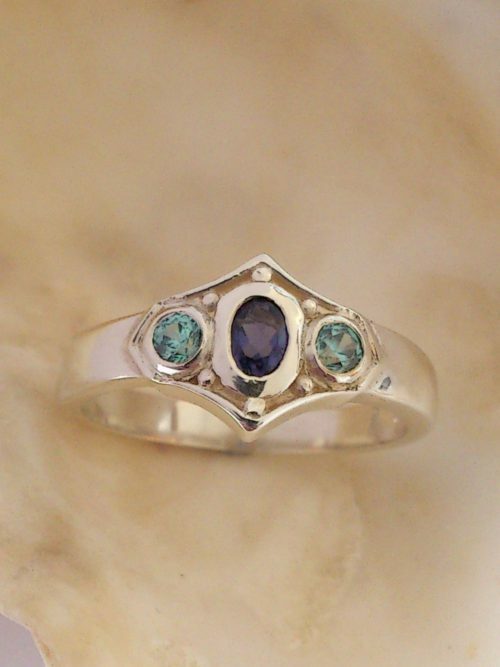 A stunning bold sapphire and diamond ring. 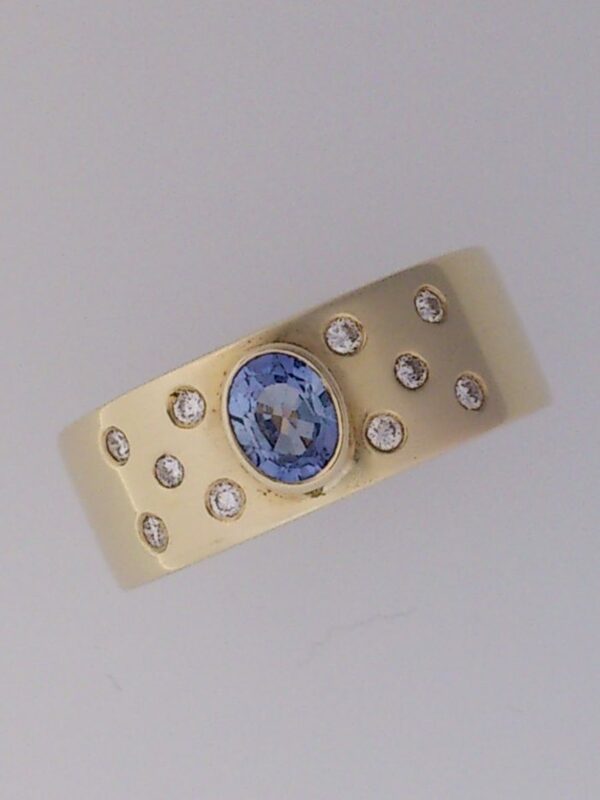 The icy blue oval Ceylonese sapphire is set into a raised rub over bezel on the 7 mm wide 9ct yellow gold band. 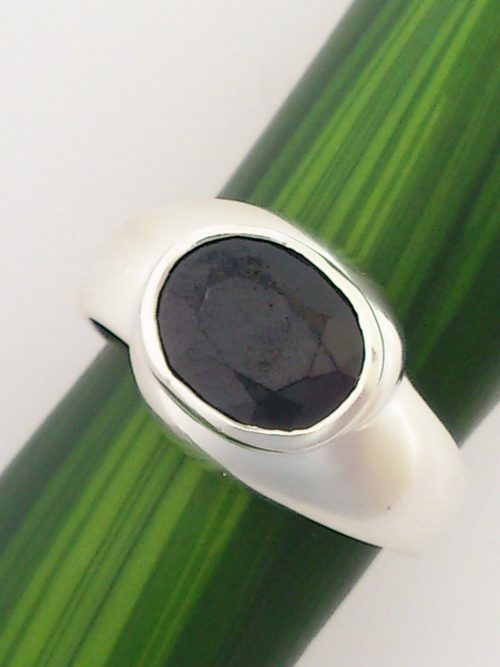 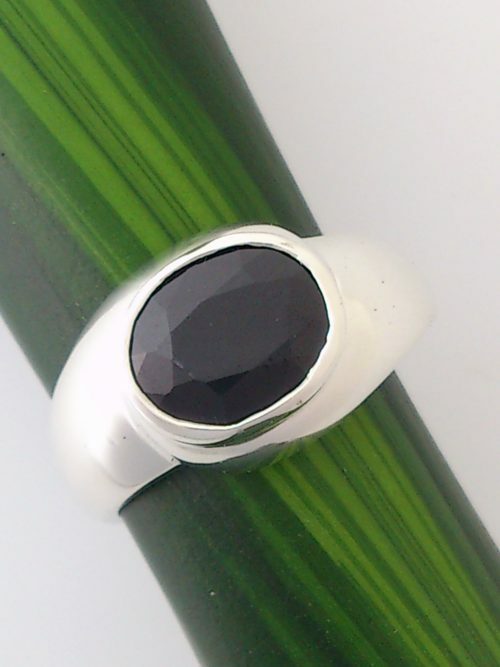 There are five white diamonds embedded into the band on each side of the sapphire. 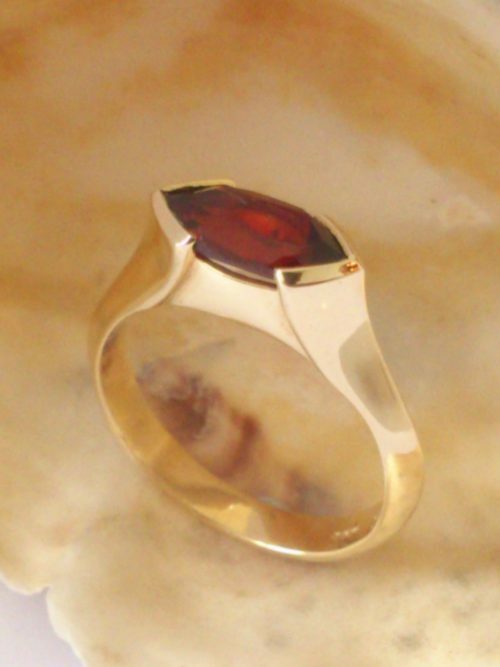 A handmade one off ring.